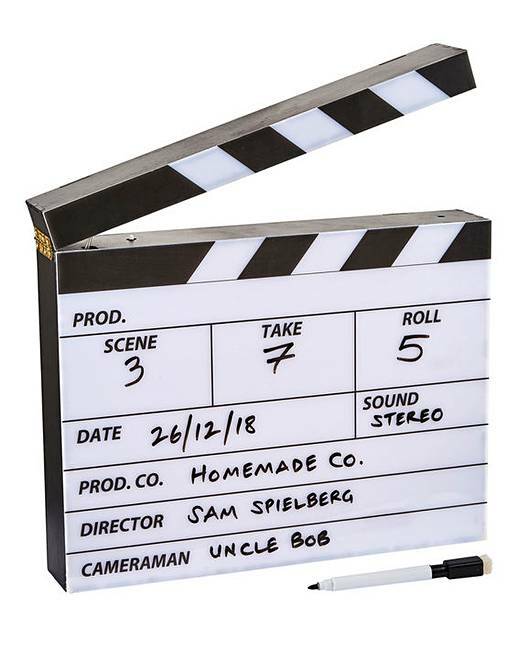 Light-Up Clapper Board with Pen is rated 5.0 out of 5 by 1. Set the scene at the beginning of a video or film with this amazing light-up clapper board. Includes black marker pen. Clapperboard light is off when the clapper is open. Clapperboard light is on when the clapper is shut.